Network reliability is the probability that a network system can perform a desired operation, such as communication between facilities, against stochastic equipment failures. On analyzing network systems that are represented by undirected graphs, the all-terminal reliability (ATR) is commonly used as one of the network reliability. As a natural extension of the ATR for the directed version, the strongly connected reliability (SCR) is known. The SCR should be computed on various network systems, such as ad-hoc network, that demand the property called strongly connected. Unfortunately, computing the SCR is known to be #P-complete, and little studies challenge the computation of the exact or an approximate SCR on limited graph classes. 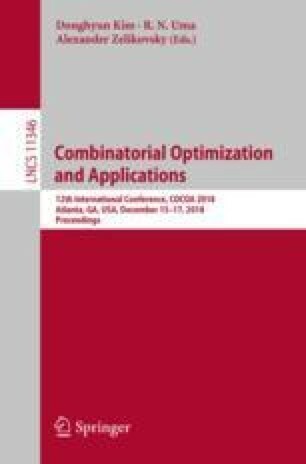 In this study, we propose the first practically efficient algorithm to compute the exact SCR in general. The algorithm constructs a binary decision diagram (BDD) representing all the strongly connected spanning subgraphs (SCSSs) in a given directed graph. Subsequently, the algorithm computes the exact SCR by a dynamic programming on the BDD. To efficiently construct BDDs, we designed a new variant of the frontier based search (FBS). We conducted computational experiments to evaluate the proposed algorithm. The results demonstrated that the proposed algorithm succeeded in computing the SCR in real-world networks with a few hundred edges within a reasonable time, which was previously impossible. This work was supported by JSPS KAKENHI Grant Number 15H05711.